The Thales Patent RechenMashine is a german adding machine manufactured by Thaleswerk, Rechenmaschinen-Spezialfabrik, or simply Thales. It has 9 rows of numbers on its front (0-9), and on the back it has the numbers 39673. 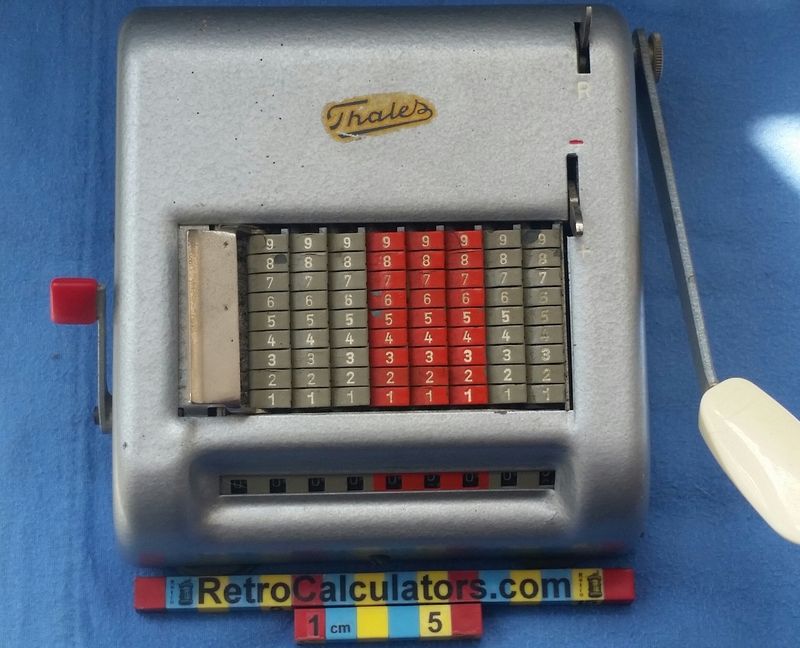 The same company that manufactured this calculator also made another series of Thales RechenMashines (4 adding machines: Model A Model AE, Model AER, Model AR) thatn is more well known than this model.